A successful B2B marketing is not just about increasing your traffic and generating leads but its also about Leads Nurturing. Lead nurturing is about fostering an ongoing dialog with your prospects and customers. But in a landscape filled with noise from email, social media, and a variety of outlets, how can you make the most of your efforts? 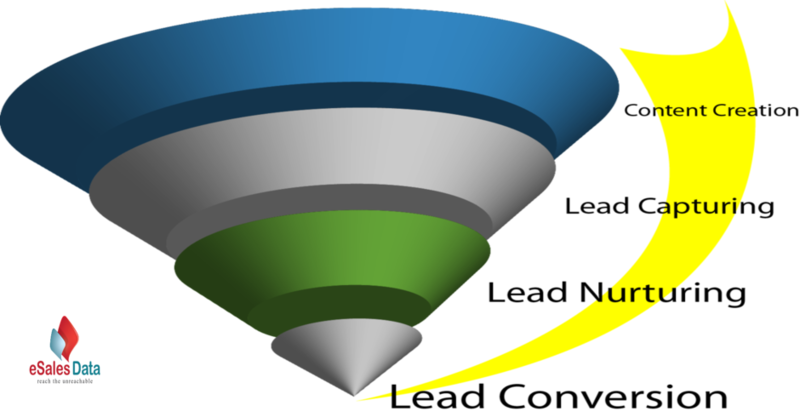 The goal of Lead Nurturing is to keep your prospects hooked and moving through the purchasing funnel, and that can be done best by providing your prospects with valuable information about your company in the form of webinars, videos, blogs, etc in such a way that it has a lasting impact on the minds of your prospects. Lead Nurturing is about building trusted relationships with the right people and in the end, its the act of maintaining mind share and building solid relationships with economic buyers. Its not a sales person calling up every few months to find out if a prospect is ready to buy yet. The basic and the foremost step to successful Lead Nurturing is sketching and appropriate and feasible plan. You have to be quick and spontaneous while mapping your plan because more you delay, more are your chances of loosing on your prospects. Millions of local businesses regularly lose leads because they lack a proper follow-up policy, which means they are wasting money and ultimately paying more for the leads that they do convert. Lead Nurturing becomes more effective and easier when you know your prospects. You should know what your prospect is exactly looking for. Look for ways to build unique prospect profiles and customize your nurture messages to their needs. Segmenting will ensure that your messages reverberate with the recipients. When most of the leads are ready to be purchased, there are few which are to be carefully cultivated. This can only be done by assuming your prospects desires based on his age, income, company and most importantly in what stage they are in the buying process. Offer Something They Can Count On: Just because someone converts on your page doesn’t mean you should jump straight into sending them an email about requesting a quote or a demo. You need to nurture them through the sales funnel first to make them readier to buy. Instead of boasting about how great your company is and the history of your company, you should offer your prospects valuables in the form of webinars, eBooks and whitepapers. Show your customs the various blogs and case studies that have been generated by your company. This will help the prospects to judge you on a better note. Vary Your Format: Do not shower your prospects with only emails after emails throughout your nurturing process, but send them interesting newsletters, videos, whitepapers and personal notes. Make it a series of communication in which each conversation takes you closer to getting your prospect to the next stage. Your business has a typical sales cycle, and so should your Lead Nurturing campaigns. It is a good idea to send 2-3 emails to your prospects in a lead nurturing campaign. Try to space out your emails accordingly. With Lead Nurturing you should always keep in mind to be patient and not rush into any sales but to go with the flow. In the process of Lead nurturing it is very essential that you keep a track on whats working and whats not. Measure prospect interaction, number of unsubscribe, number of subscribers, conversion of leads to sales. Only if you keep your eyes open to these constant changes, you can achieve successful Lead Nurturing. A healthy nurturing is as essential, as breathing in fresh air to keep ourselves alive, just like plants, animals and human beings need to be nurtured, similarly in the marketing scenario even leads need to be nurtured.